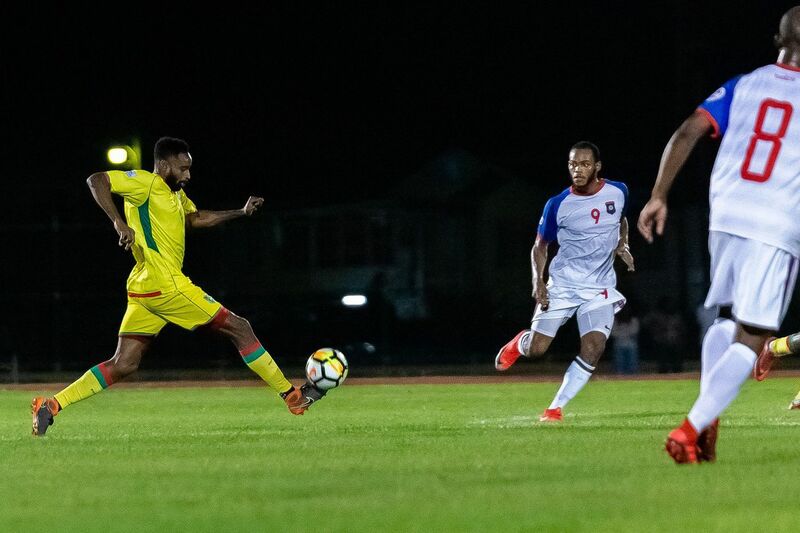 Philadelphia Union midfielder Warren Creavalle played for Guyana's national team in the Golden Jaguars' 2-1 win over Belize that clinched a berth in the 2019 Concacaf Gold Cup. For most people in American soccer, the Concacaf Gold Cup isn’t that big a deal. The United States and Mexico always qualify automatically and often don’t bring full-strength teams, since they play in other, higher-profile tournaments. That’s not the case for Union midfielder Warren Creavalle, though. Since 2016, the New York native has represented his father’s home country, Guyana. This past Saturday, Creavalle helped the Golden Jaguars qualify for the Gold Cup for the first time. He played the last 21 minutes of a 2-1 home win over Belize that clinched the berth. Many other Guyana players were born in England, play in that country’s lower leagues, and, like Creavalle, have ancestral ties to the nation they represent. But a fair number are homegrown and play in the country’s domestic league. They could only dream of opportunities like the ones Creavalle has had in America. This summer, they will finally get their shot at the big stage. "It's a huge stage, especially for some of the local-based players, to be on a much bigger stage than they would ever have been on," Creavalle said. "And even for myself, it's a huge opportunity as well." Those players, and most Concacaf national teams, don’t play in fancy stadiums with pristine fields like those in the United States, Mexico, and Canada. Guyana’s national stadium is primarily a cricket venue, and the soccer federation’s request to play there was denied. So, the Belize game was played at a 3,000-seat track-and-field facility. On top of that, Creavalle had to travel a long way. Although Guyana plays in Concacaf, it’s in South America, neighboring Brazil and Venezuela. "It's a very different experience, a humbling experience as well," Creavalle said. "It's not the resources and facilities that we're accustomed to here. ... [For] the boys growing up there, with not having the same infrastructure and resources, it can be a bit tougher to make it. ... I think that makes it even more sweet for them." The Gold Cup draw will be on April 10. It won’t be surprising if Creavalle gets to face some of his Union teammates, such as Andre Blake and Cory Burke on Jamaica’s team or Marco Fabián on Mexico’s squad. “It’ll be really fun to see some familiar faces, and even more fun to beat those guys,” Creavalle said with a smile. The other participating nations are Bermuda (also a first-timer), Canada, Costa Rica, Cuba, Curacao, El Salvador, Haiti, Honduras, Martinique, Nicaragua, Panama, and Trinidad & Tobago. Lincoln Financial Field will host a quarterfinal doubleheader on June 30, with the United States expected to be one of the teams.